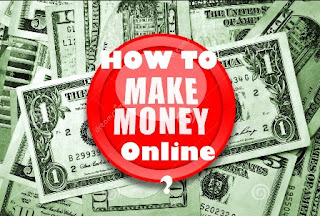 Home» Make Money » How to make money online? Hello friend welcome back in myteachworld blog . 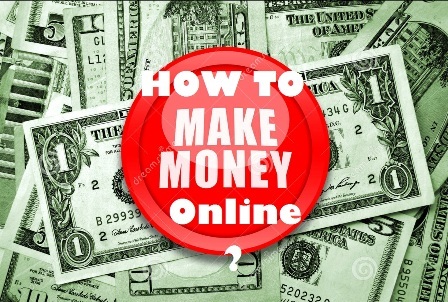 In this articles, I am going to show you How to make money online? Dear Friend you can earn huge on internet no doubt. Because Internet is full of opportunities. But you have to gain proper knowledge and trust me it’s not that difficult to earn on the internet. Even a school going can earn. Learning how to make money online is like taking a college degree but once you get the idea. Boom goes dynamite .it will change your life forever. Dear friends if are you an entertainer or just very good at acting and speaking. Do you have something to show to the world. Anything that will make you different from others. Show it to the people on Youtube and get paid for the views you get. Many youtubers are earning huge amount of money from the Youtube. A video of a kid playing with his parents and dancing, doing funny actions earned millions of dollars. This platform is very powerful in making money by just doing things in from of camera. You can start online classes for anything, cooking videos, language classes, teach how to paint, how to do this and that. Anything that makes others life simple combine the ideas and earn. Friends you can earn good amount of money with article writing on the websites. Know your field of interest and write some small articles and put it on your website. Make a habit of blog posting. Blogs earn huge amount nowadays. Select a niche (niche = a particular topic to upon) and advertise it on social networking sites. If your contents are original and good you can easily get users and they will visit your website regularly. Make good connection with them and once you get enough visitor. Try to charge for your services. That’s just a normal idea. I don’t know your personally so I can’t tell how much you can make. May be you don’t even know how to turn a computer. But if you are little smart you can make that much of money within a short period of time. Don’t go for paid website for now. There are so many of free website making companies on the internet from there you can make your own website within 5 minutes or try to write blogs on blogger. Dear Friends Affiliate marketing is the best way to start earning money online without investing money. basically you have to promote someone’s product and if anyone buys from your promotion, you will get commission. Ebay, amazon and almost all the big E-commerce websites provide affiliate membership without any fee. Go to your social network profile and promote some products and when they buy. You get money. Take a example of a mobile phone handset. Make a youtube video about a particular mobile handset and tell people about its features and put a affiliate link in the description. Fiverr is a marketplace of professionals where people do things for 5 dollars. From logo designing to video ads, dancing videos, writing articles etc. go take a look at www.fiverr.com so start with anything like designing a logo, writing article for a product or just anything. Logo designing is not that difficult, all you need is a 10 minutes lesson from youtube on how to make a logo with your favorite image editor. It does not matter photoshop, photoscape or whatever.